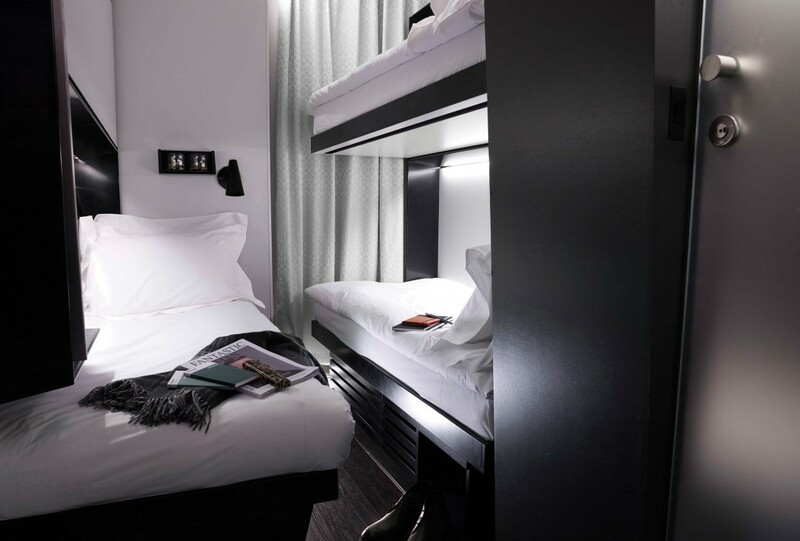 Snoozebox is the portable hotel that delivers on-site event accommodation, putting guests close to the action. 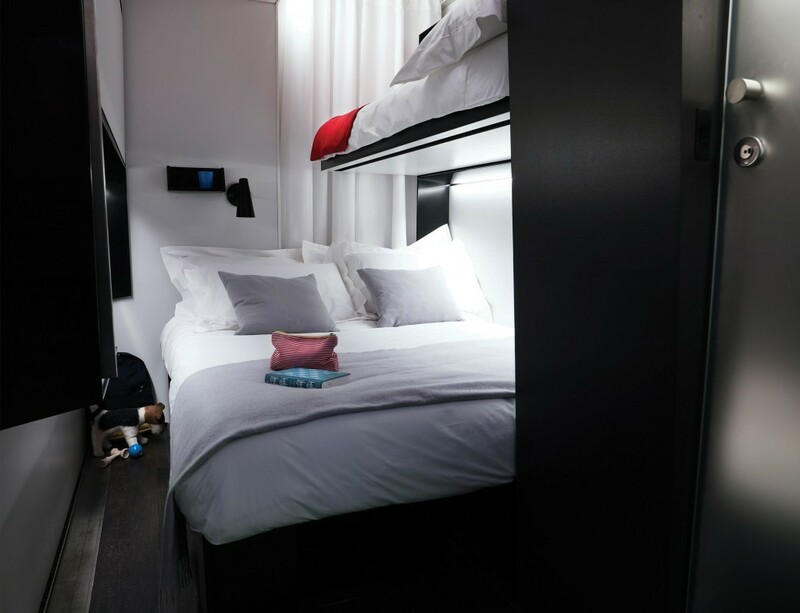 In 2011, Snoozebox launched its first portable hotel at the British Grand Prix with rooms built in shipping containers. 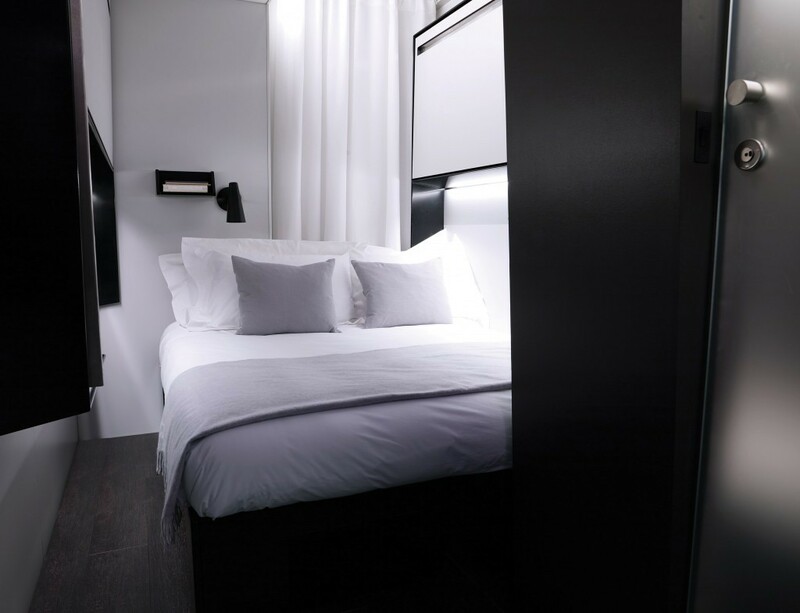 In 2014 Snoozebox developed a second-generation room, aiming to reposition the hotel as premium accommodation and increase sleeping capacity without enlarging the room’s footprint or cramping guests. Bespoke trailers carry six expandable rooms measuring 3.6m x 2m x 2m, delivering 50% more rooms per lorry. 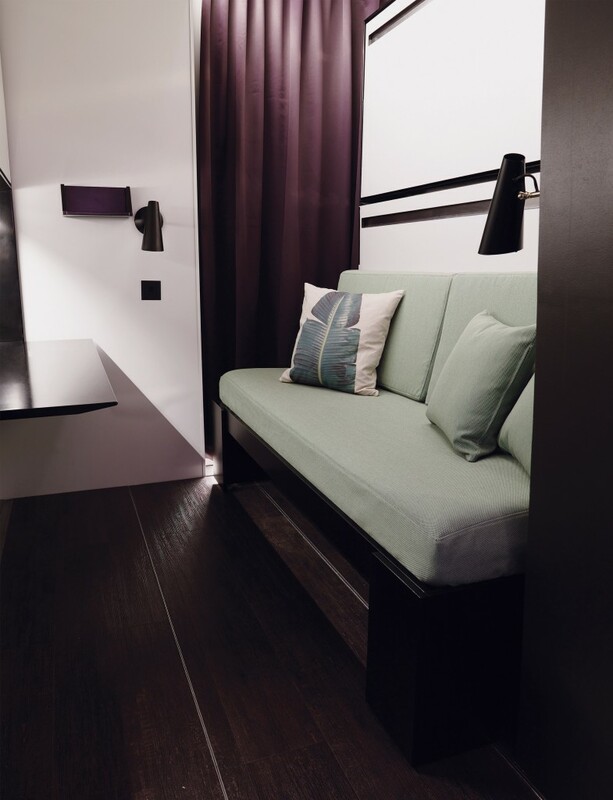 Rooms transform externally and internally to suit a range of guests, providing a day room and seven different en-suite sleeping configurations within the same space. 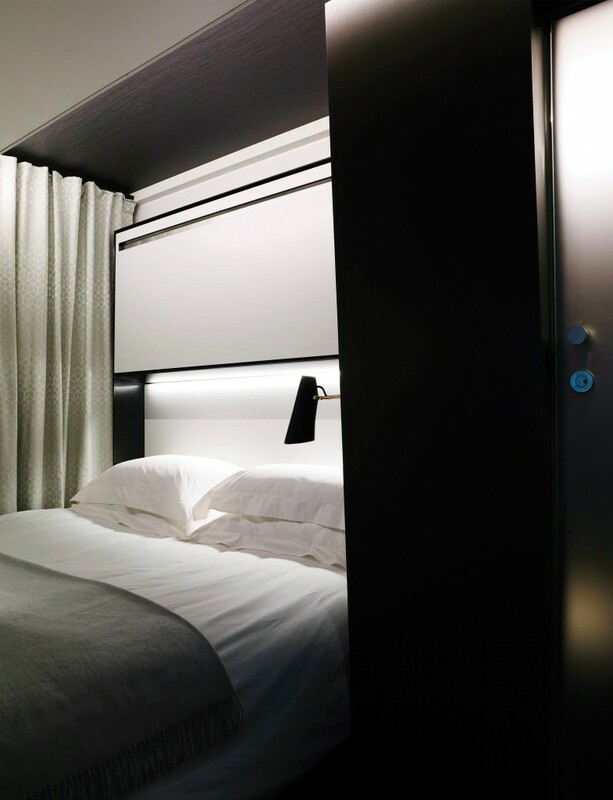 Through exploiting specialist laser-cutting and folding processes, beds are hidden within metal frames integrated into the walls. Tessellation of space and form around custom designed hinges, which rotate through a variable arc, stow the beds tightly to optimise living space and allow rooms to compact by 50% for transport. 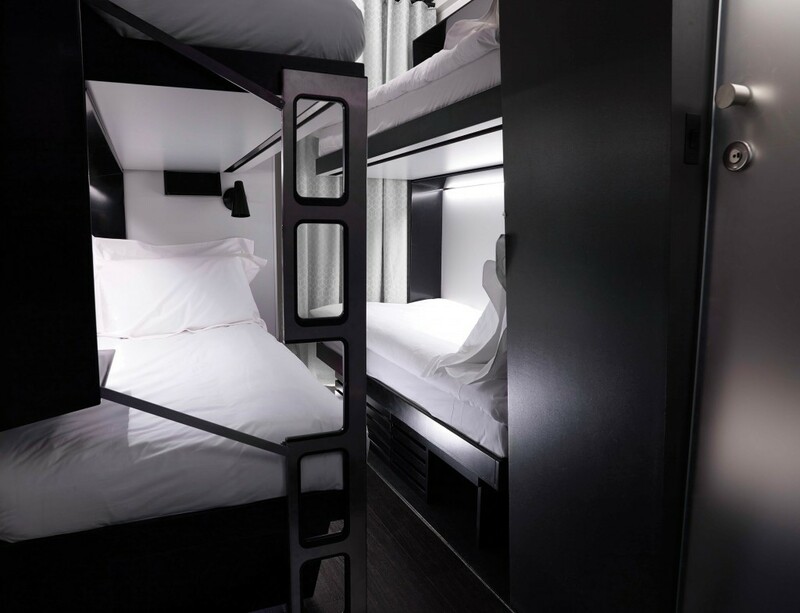 Through the intelligent use of space, room capacity was doubled to sleep four adults. 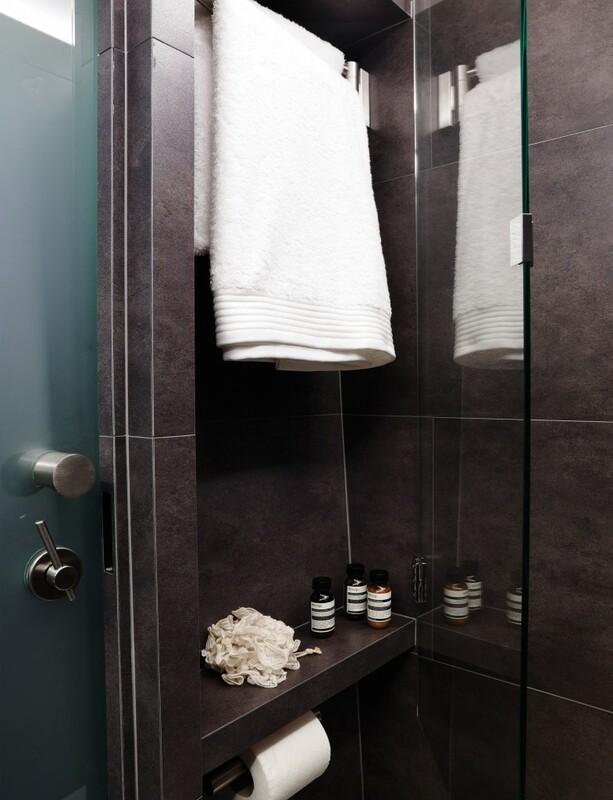 The wet-room bathroom’s footprint is restricted by the need to accommodate the room’s walls and floor as they fold for transportation. Utilising the space above the folding area, the bathroom flares outwards giving freedom of movement and a perception of spaciousness. 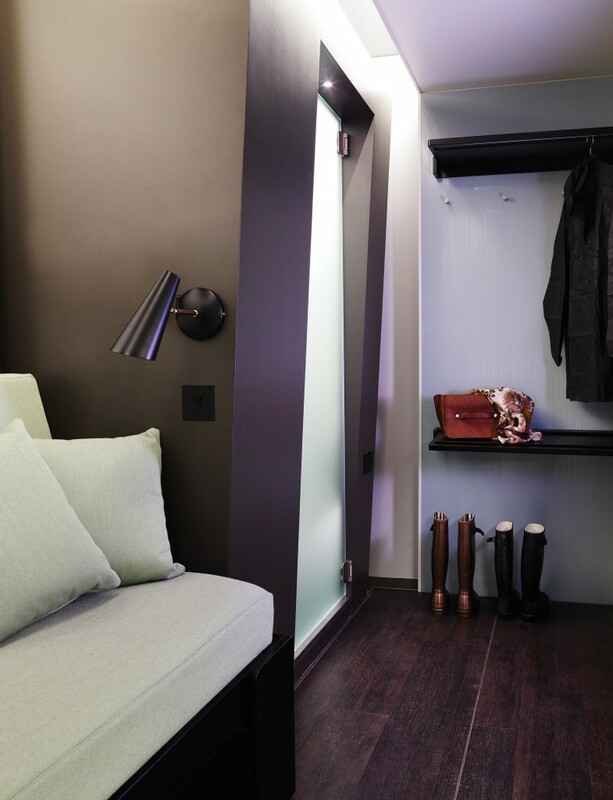 Custom furniture and textiles were mixed with high-end flooring and walls to achieve a premium feel. 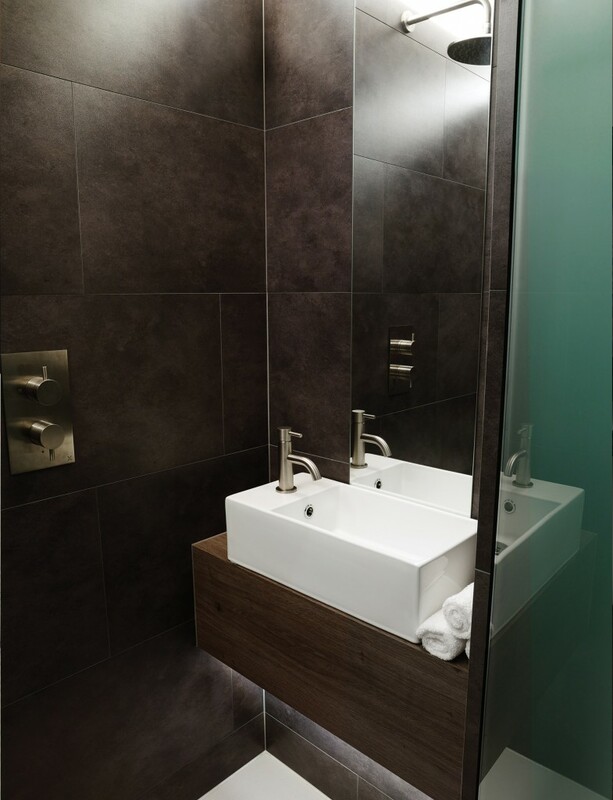 Three room finishes were developed to give further customisation depending on the client or event. The bespoke trailers deliver a substantial improvement in deployment efficiency and speed of hotel set-up. 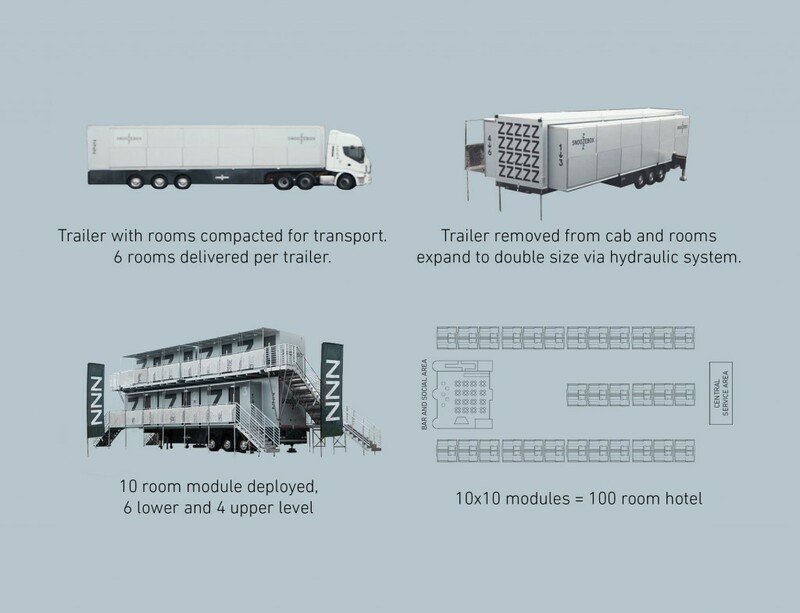 A 100-room hotel can now be deployed within 24 hours; previously this took a team of the equivalent size six days. A hotel can now operate at a different location every week, rather than once a month, providing greater commercial opportunity.